Last week I had the great opportunity to travel with a couple friends up north to photograph Sharp-tailed Grouse near Great Falls, Montana. What a blast! Rationalizing getting up at 2am so you can get in position before sunrise to watch 40 crazy little guys strut their stuff all morning may have seemed a little nutty, but it was the most fun I’ve had in long time. 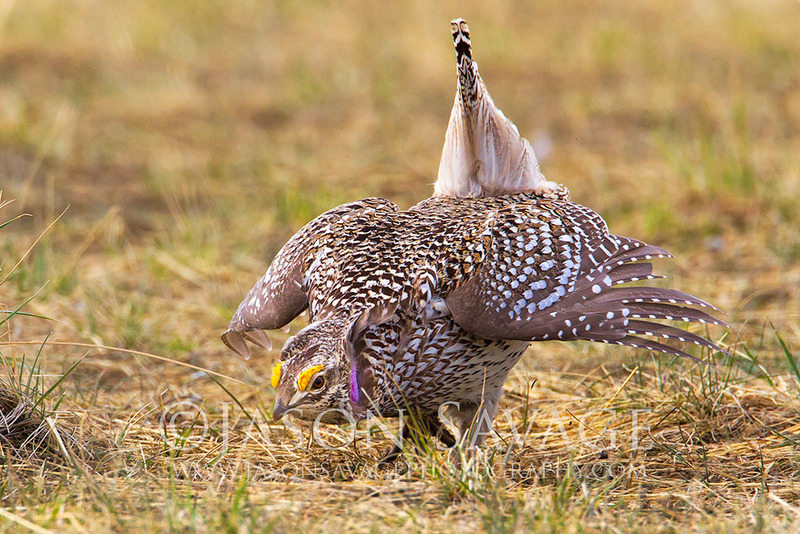 This was my first experience photographing Sharp-tailed Grouse on a Lek and I wasn’t quite sure what to expect. As we arrived before sunrise you could already hear the males distinct rattling and cooing sounds and as the sun rose they seemed to work themselves into a frenzy putting on their elaborate dances. 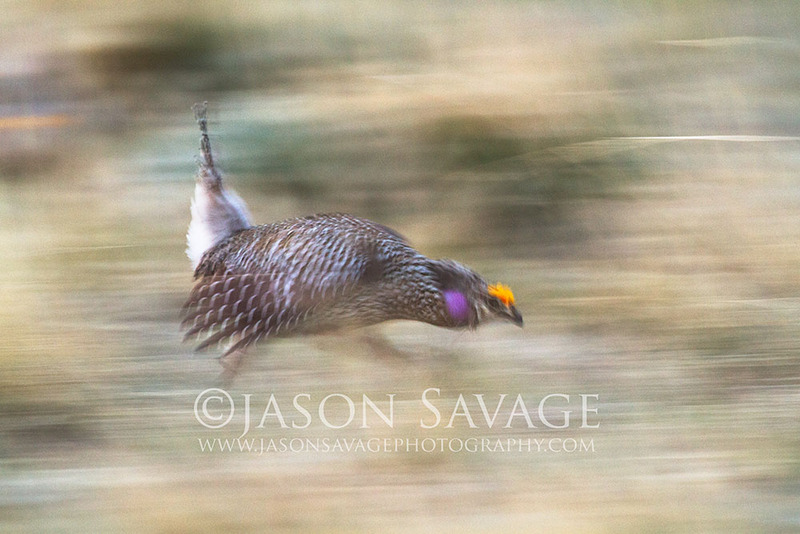 We spent a few hours with the grouse and it was a truly memorable morning in central Montana. 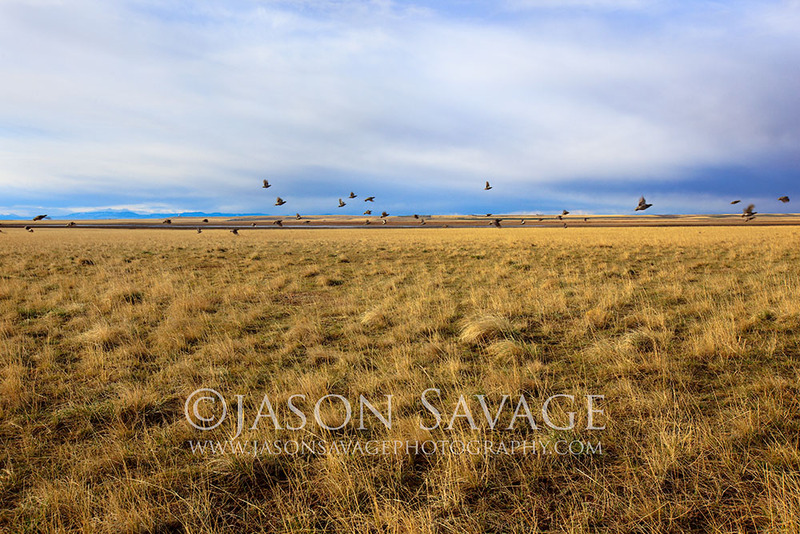 Sharp-tailed Grouse leaving Lek, Montana. Canon 5DmkII, 16-35 2.8LII. ISO200 f11 1/250.